Following the success of Sock Monkey, i feel the need to add up Israa' toys collection. So, please help me to welcome....STEGO! In case if you are wondering where's on earth i got this idea, well a friend of mine tagged me to one album; full with handmade crafts . 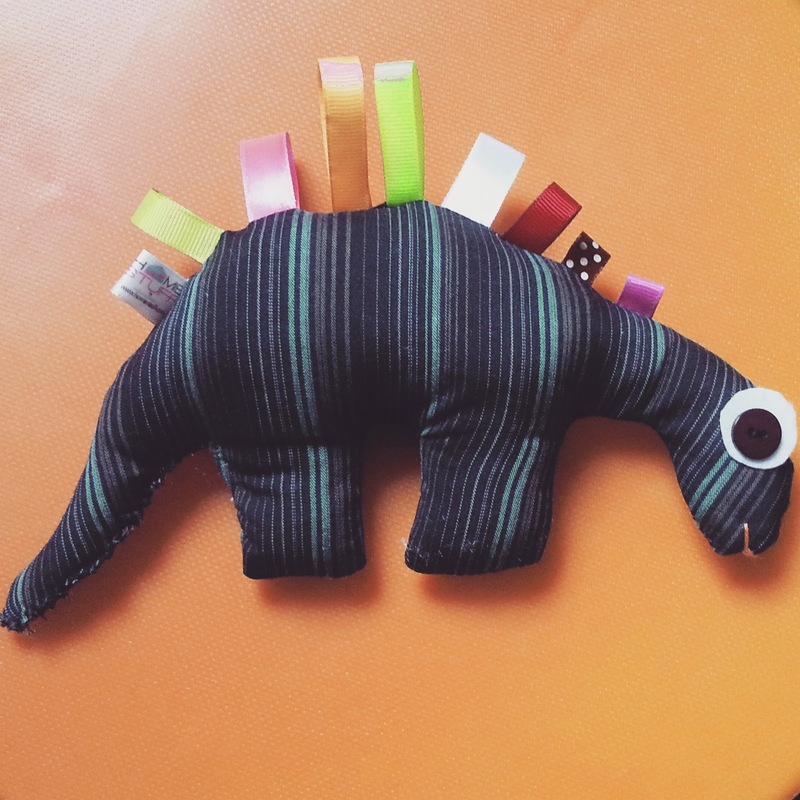 It wasn't too long till i found this lovely dino toy that looks pretty simple to be made. 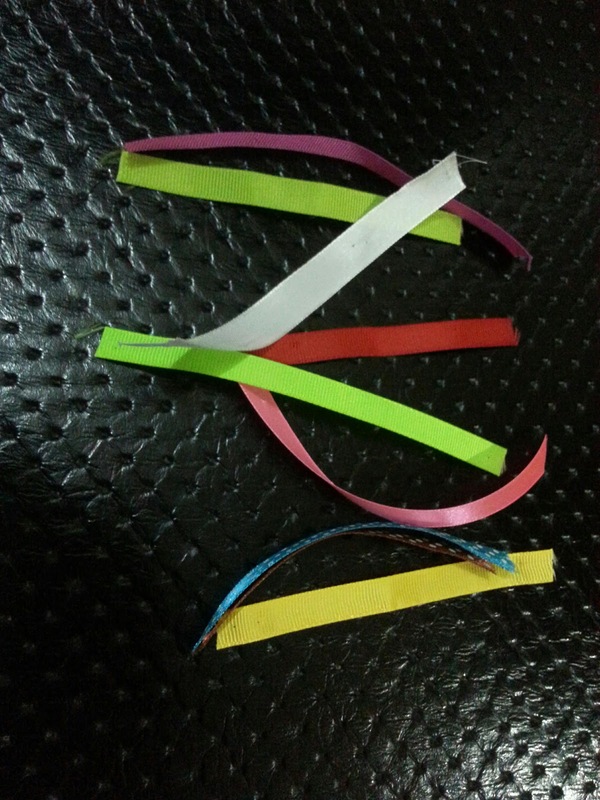 Plus, a baby at Israa' age (almost 9 months old) enjoys to play around with labels and ribbons. I think by adding up some colours, different materials and different sizes will also helps Israa' to stimulate his brain. Aye? Step 1: Draw a medium size Dino on paper. Cut out your design and fuse it to your fabric of choice. I use cotton for this particular project. 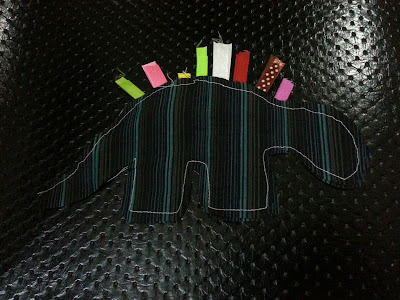 You can also draw right away on fabric by using this water soluble pen. Step 2: Cut and make sure you have 2 pieces of the same size. Step 3: You'll need assorted ribbons with preferably different colours. Step 4: Make sure both pieces of fabric is turned to the wrong side. 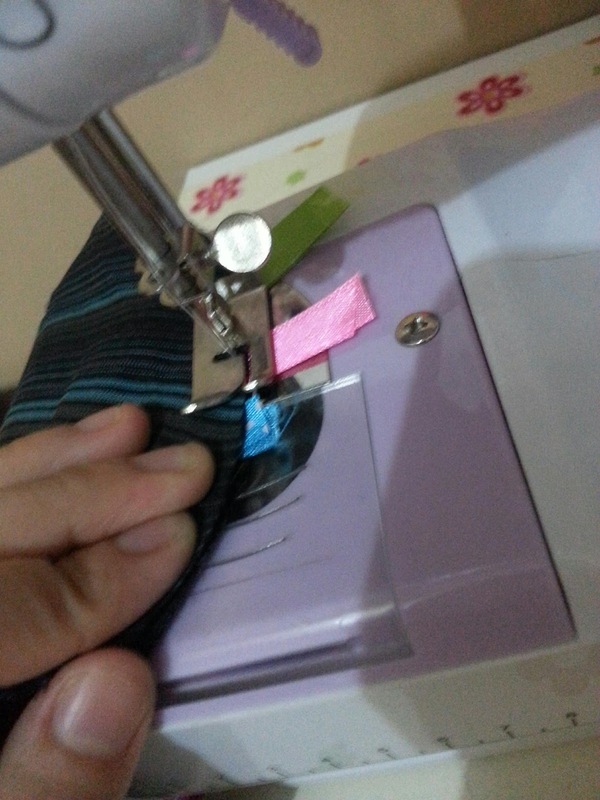 Line up the ribbons with pin and stitch it accordingly. Leave up the tail unstitch. Step 5: Turn the right side out and stuff lightly. 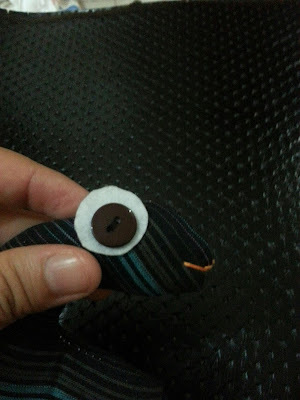 I leave the tail so that i can hand-stitch the opening later. It's pretty simple isn't it? 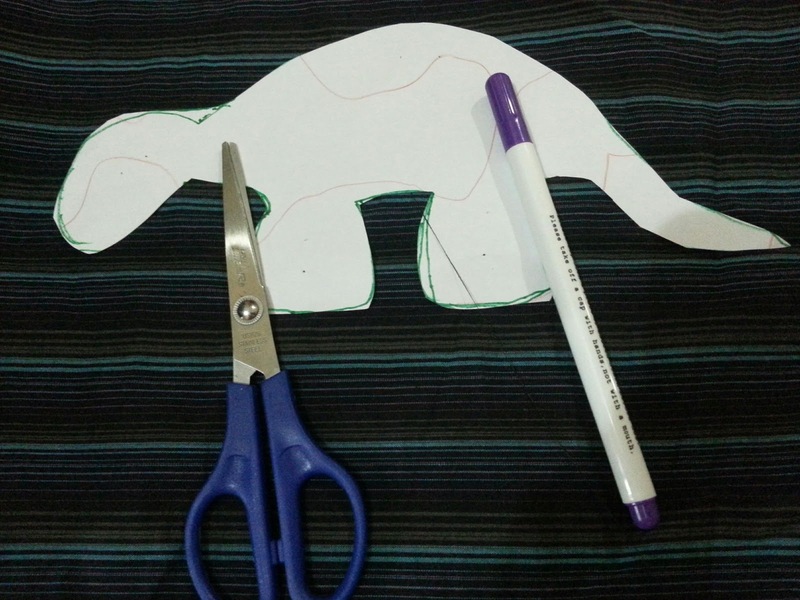 I hope these instructions help you to make the dino toy for your little one! My kids love the dinosaurs too. 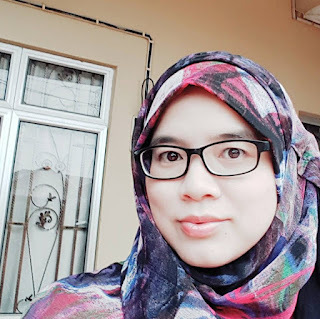 Nanti akak try. Thanks Salwa for sharing this.